Back on the Market!! Newly Renovated Front Balcony, New Stucco and Brand soon to be Brand New Kitchen!! Welcome Home to the beautiful property located on large lot!! 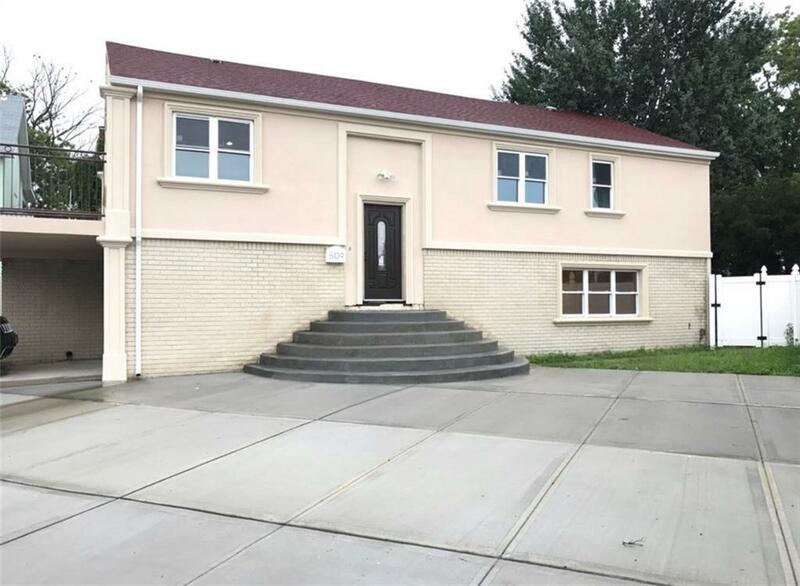 Stunning Detached High Ranch Single Family house in the heart of the Seagate Private Community in Coney Island! This home has been completely RENOVATED with a spacious living/dining area with CATHEDRAL ceilings and sliding doors to a huge 27x12 outdoor newly renovated TERRACE. Modern kitchen with granite counter-tops, glass tile backsplash and stainless-steel appliances. Hardwood and Italian ceramic tile floors throughout. You also have 3 LARGE bedrooms and a GORGEOUS modern ceramic tile bath with stall shower and Jacuzzi. Below that in the walk-in level you have a HUGE family room, additional bedroom, additional bathroom and plenty of storage space. This home also consists of central air and 2 zone heat, new stucco exterior, updated electric and so much more. The property itself boasts a front, side and rear yard and parking for up to SIX cars. The Seagate community features its own gym, private beach, two parks with basketball courts, playground, private street cleaning services and its own security police. This home is located in District 21 and is zoned P.S 188 Elementary School, P.S 099 Middle School and many High Schools. A MUST SEE!